Surf Haven is a stylish bed and breakfast in Bude exclusively for adults and older children. Located close to the heart of Bude, a short walk from glorious beaches, the golf course and the town’s shops and restaurants. We’re proud to have been named one of the Top 25 B&Bs in the UK by TripAdvisor and won a Bronze Award at the recent Cornwall Tourism Awards. Owners Caroline and Peter offer a calm place to stay by the sea, all year round, no matter whether you’re looking for a bed and breakfast in Bude for a day, a weekend or a long holiday. You’ll have adventure on your doorstep. 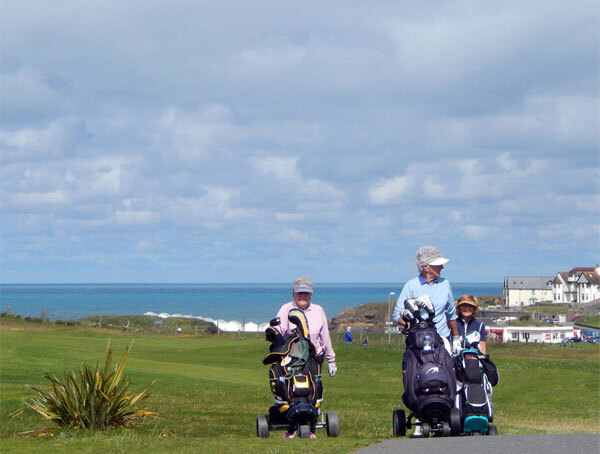 Bude & North Cornwall Golf Club is right across the road from the bed & breakfast. 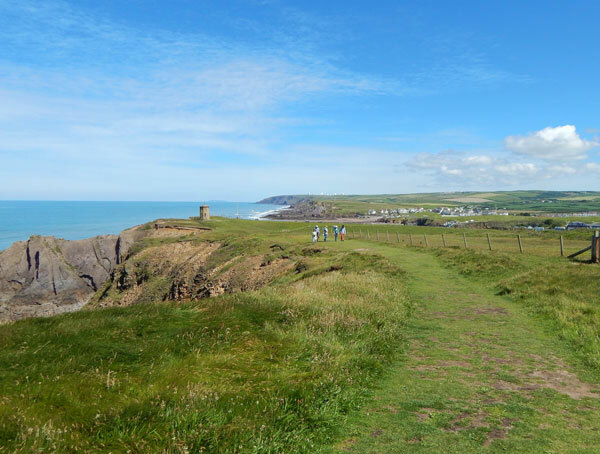 We’re also just 300 metres from the South West Coast Path and Bude’s famous beaches. Enjoy the surf rolling in from the North Atlantic or head out on your bike along the coast or inland to picturesque Cornish villages. 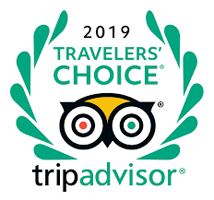 TripAdvisor has named us as one of the top 25 Bed & Breakfasts in the UK – the only B&B in the list in Cornwall. We’re a Bronze award winner for the B&B Guesthouse of the Year at the Cornwall Tourism Awards. 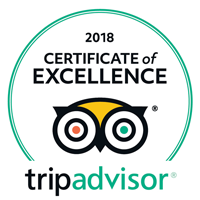 We’ve been awarded the TripAdvisor Certificate of Excellence and remain Tripadvisor’s No. 1 B&B in Bude. Surf Haven Bed & Breakfast is adjacent to the Bude & North Cornwall Golf Club. We’ve teamed up with our local golf course to create some fabulous Bude golf accommodation. Surf Haven Bed & Breakfast is ideal if you’re looking for accommodation near the South West Coast Path in Bude. We’re only a few hundred yards from the path near Crooklets Beach. 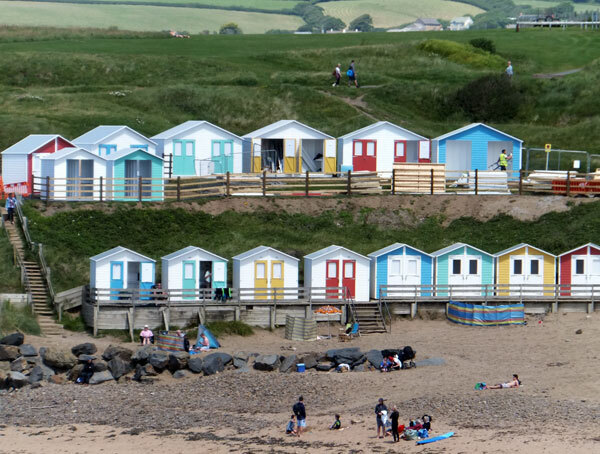 Bude’s beaches are all within easy reach. Surf Haven Bed & Breakfast is just a short, flat walk from Crooklets Beach – a sandy beach with several cafes, good toilets and good surf. 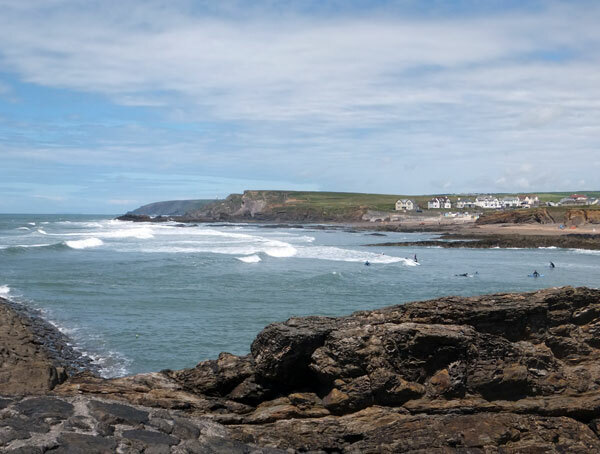 As our name suggests, Surf Haven is perfect for those looking for accommodation whilst surfing in Bude. Crooklets Beach has been dubbed the ‘Bondi of Britain’, so good is the break at mid and high tide.